Subject to a report published by Arsenal’s official website, Gunners defender Krystian Bielik has joined League One outfit Walsall on loan for the remainder of the 2017-18 campaign after recovering from shoulder surgery. Bielik spent the second half of the previous season on loan at Birmingham City and the 20-year-old made 10 appearances for the Blues, a temporary stint where he helped to ensure that the club evaded relegation from the Championship. Having joined the Gunners for a fee allegedly worth £2m in January 2015 from Legia Warsaw, the adaptable Polish defender has only managed to make 2 first-team appearances for the north-Londoners, both of which occurring in the League Cup. Being a more regular member of Arsenal’s PL2 set-up, Bielik’s mid-season move to the Saddlers is profitable for both parties as it would offer him the opportunity to test himself on a more competitive stage, weekly challenges which would mould him further as a young professional with lofty career aspirations. 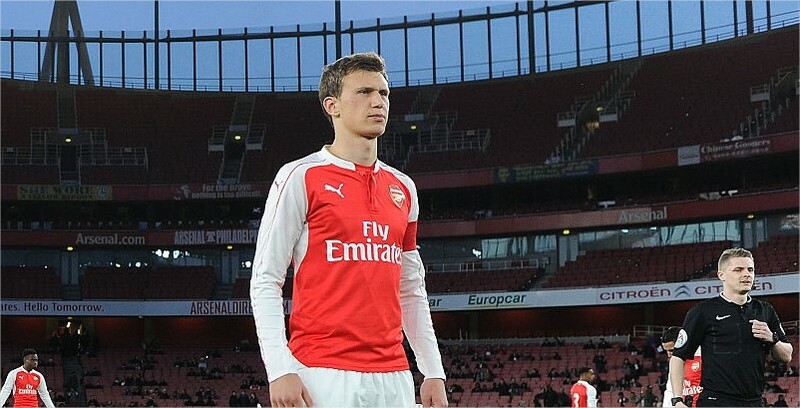 Bielik is not the only future prospect to leave the Emirates during the January transfer window on loan, however. Marcus McGuane, 18, completed a sensational jump to FC Barcelona and it’s said that the developing defensive midfielder will predominantly play for the ‘Blaugrana’s’ ‘B’ fold in Spain’s Segunda Division, as they struggle and endeavour to stave off the drop. Share the post "Walsall snap up Arsenal defender on loan"